LG's smartphones are good, but they have not been able to create the buzz in India some of their rivals have. 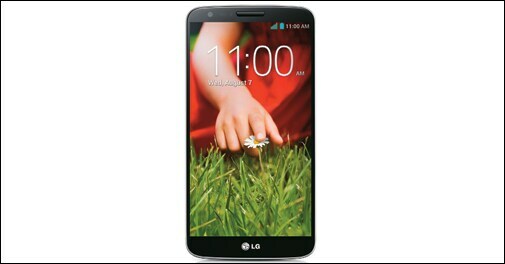 After Nexus 4, the company has now launched LG G2 which shifts a few buttons from where they are expected to be, and thus takes some time getting used to. The power and volume controls, usually on the side panel, are at the back here. No need to reach for the power key to wake the phone up, a double tap on the screen suffices. The interface is neat and easy to use. The snap-on cover LG has designed has a window in front through which one can access the clock and the music player. Calls can also be accepted and rejected using the window, without opening the cover. This model also has a powerful 13MP rear camera with optical image stabiliser that captures superb images. The Acer Aspire R7 is a convertible, but not an ultrabook like others of this breed. The design is so original it has 20 patents, and hence at least four modes in which it can be used. There is the regular laptop mode, an easel mode where the screen is up front, a pad mode where it is used like a tablet and a display mode which can be used while showcasing something on the screen. But at 2.6 kg the device feels a bit too heavy to be used as a tablet. 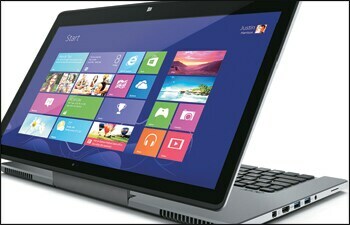 The 15.6-inch full HD touchscreen is stunning and the touch very responsive. The sound quality is also good. The R7 is a very powerful device, thanks to its Intel Core i5 processor with 6 GB RAM. This is a good desktop replacement that can become a shared family device for play and entertainment. Don't think of lugging it to the office, though. gone free on iOS. Acquired by Google, the QuickOffice app is a handy office suite like Microsoft Office on your smartphone. It allows you to create new Word, Excel and PowerPoint files and edit the existing ones. Configured with the Google account, it can also access files in the Google Drive and save new files to this location. It also lets you share documents with others.